Chartreuse has an interesting history: it has been produced since at least 1737 by Carthusian Monks. As such, this liquor was named after Grand Chartreuse, the monks’ monastery perched high in the Chartreuse Mountains in Grenoble, France. Amazingly, it is still made in their nearby distillery in the small town of Voiron today. The liquor itself can be either green or yellow and is made from distilled alcohol matured with the addition of an incredible 130 plants, herbs and flowers; as such, this spirit enjoys a subtle herbal flavour that makes it truly unique. There aren’t many spirits that improve in the bottle over time, but Chartreuse is one of them. 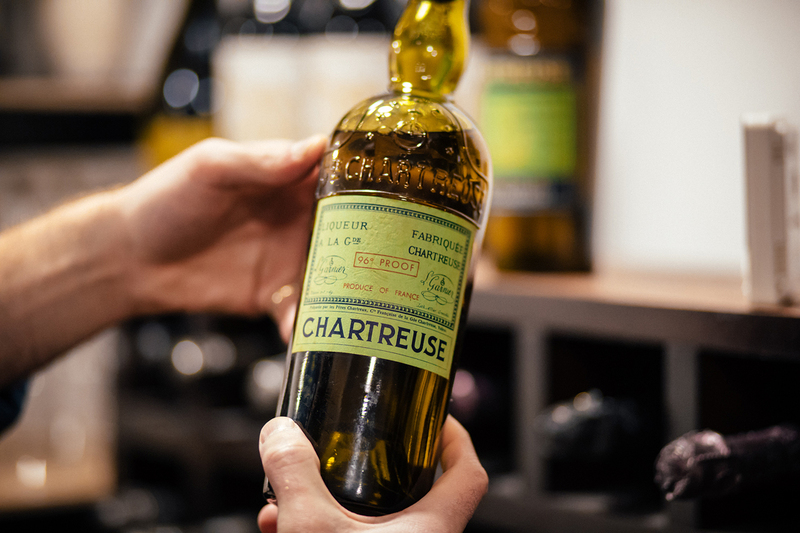 Customers sometimes come to us asking ‘how much is my Chartreuse worth?’, and as one of the few experienced Chartreuse buyers we’re in the perfect position to provide them with an accurate estimation. Contact us to find out which particular vintages and era of Chartreuse that we’re currently looking to buy. Just fill in our online contact form, give us a call, send us a quick WhatsApp photograph of the bottle or just visit our wine cellar in person for a chat. With years of successful spirit purchases behind us, we’ve earned a reputation for providing competitive valuations, efficient payments and for keeping our customers informed every step of the way. What’s more, we always honour our original quote (we’ll never downgrade the amount promised later on), and we’re committed to transferring funds to your bank account instantly once we’ve approved your goods.